The Large Hadron Collider experiment at CERN is an outstanding scientific tool, that generates data and extremely high rates and volumes. At the time being, LHC data is by far the largest scientific data set, amounting to hundreds of Petabytes, and it keeps growing every day. It has to be large, because we study very rare objects, such as the Higgs boson or the elusive Dark Matter. To analyze all the data, a special computing approach is needed, and we use Grid technologies to bring together all the computing and storage resources for the LHC. Grid software, known as middleware, is not available commercially, and is usually developed by the scientists, to meet their requirements. Our project focusses on developing Grid middleware called Advanced Resource Connector, or ARC. 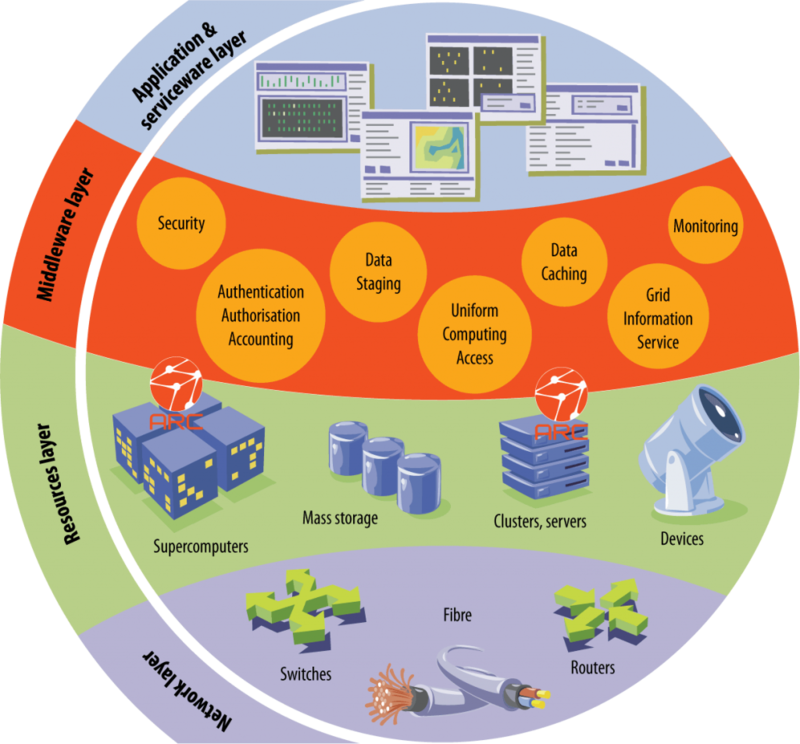 ARC provides unified entry point to different computing facilities. It originates in the Nordic countries, and is developed in close cooperation by many European universities and institutes. The Lund group plays a major role in ARC development by providing its technical coordinator. As a result of the project, ARC has developed to a popular solution worldwide. In 2010, only 10 sites in the LHC Grid infrastructure used ARC; in 2016 there are 134 such sites, and our goal is to further improve and support the middleware. The responsibilities of our team lie in several areas: the overall technical coordination, information sub-system, documentation, user support and outreach. The task of the technical coordinator is to define strategic goals and steer the daily activities. The information sub-system is the backbone of the Grid, and larger is the Grid, higher is the load on this sub-system, and therefore it needs an optimal scalable structure and implementation. Our primary goal in this respect is to fully implement the so-called Glue2 information model. Documentation, user support and outreach are on-going activities, targeting scientists as well as Grid service providers. “OGF – Production Grid Infrastructure Use Case Collection”. Eds. M. Riedel and J. Watzl, authors E. Paisios,…, O. Smirnova et al.. OGF GFD-I 180 (2011).